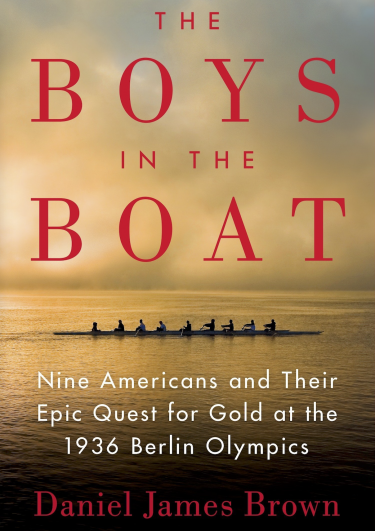 The Boys in the Boat by Daniel James Brown is a wonderful story about overcoming neglect, economic depression, immense pain, and even global fascism in the 1930s. With exception to the Nazis, the characters are likable. The prose is poetic. And the well-documented feat is awe-inspiring. Five stars out of five. The sport offers so many opportunities for suffering and so few opportunities for glory that only the most tenaciously self-reliant and self-motivated are likely to succeed at it. Physiologists, in fact, have calculated that rowing a two-thousand-meter race—the Olympic standard—takes the same physiological toll as playing two basketball games back-to-back. And it exacts that toll in about six minutes… The common denominator (of rowing)—whether in the lungs, the muscles, or the bones—is overwhelming pain.